I can’t stop thinking about this little girl. Teresa B just went in to the Operating Room at the Children’s Hospital of Pennsylvania for another heart surgery. She had surgery a few days ago but then went into cardiac arrest for 30 minutes. 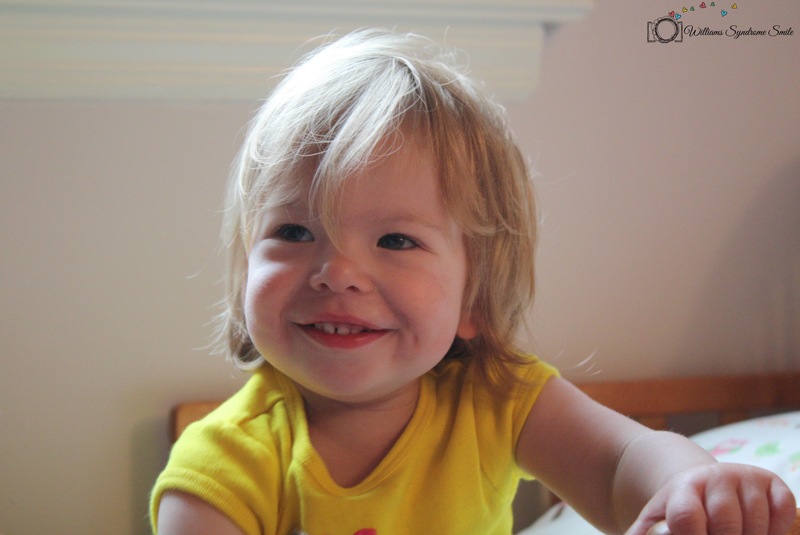 She’s been on ECMO, which is the same life support machine Emmy was on, ever since. I’ve been following her story for the past week, when someone from our Williams syndrome community posted it on Facebook. Teresa’s story is different from ours, but it brings me right back to that hospital room. It’s as if I’m sitting in front of the life support machine all over again, praying for Emmy to come back to us. 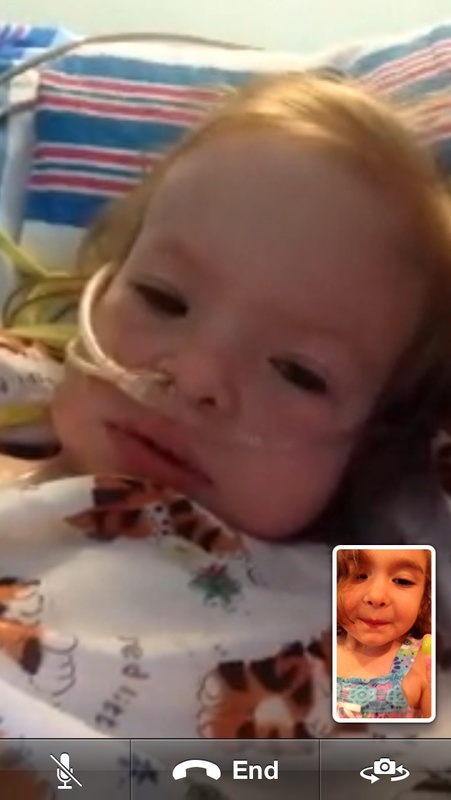 There are days when I practically forget that Emmy was on life support a few weeks ago. And there are days when I am right back there — watching the blood pump through the tubes coming out of her chest. Here is Teresa’s story. 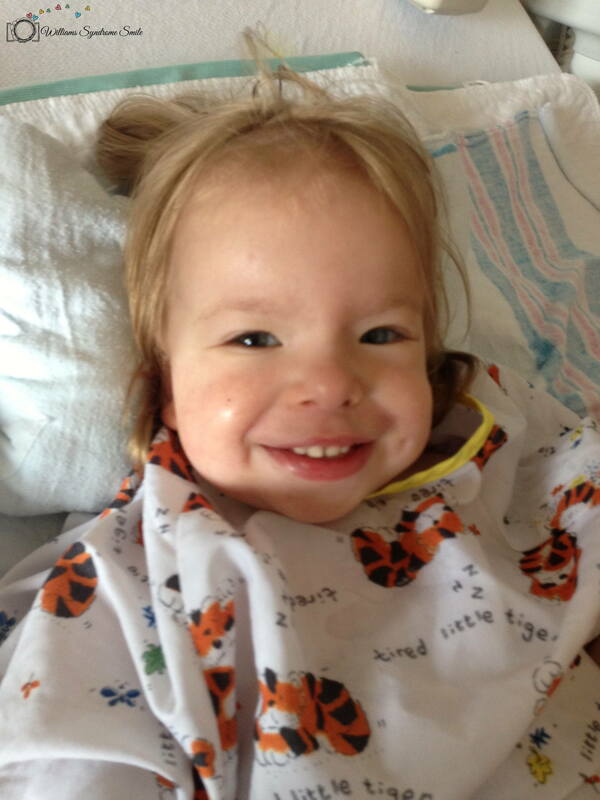 Please pray for this sweet little girl as she undergoes surgery right now. Things with Emmy have calmed down a bit. She’s feeling much better, though she can turn SUPER cranky on a dime. I’m a worrier by nature, so I’m constantly checking her incision (It’s quite a sight. Eek!) and watching her closely on the monitor during naptime. Because she’s doing so well and is generally happy, it feels as if the past month were a dream. I can’t believe that happened… Did I watch a movie, or was it real? I’ll think about snippets of scenes from Emmy’s time in the hospital and it’s as if I’m struggling to remember something that happened 10 years ago. I think my lack of memory is my body’s way of protecting myself from going back there. At some point, I want to write it all down. I just can’t do it yet. One ongoing lesson that really hit home during that insane experience is that I need to be present with my kids. I’ve known this for a while now, but it’s difficult for me to put into practice. I’m a multi-tasker. I want to do, do, do. It’s hard for me to sit and just be. But time with my kids is so precious. Sometimes I have to just be and not think about my never-ending to-do list. Here’s my paraphrase of that lovely quote: When you’re spending time with your kids, don’t rush through it to get to the thing you have to do. Your kids are the thing. First it was a bath, book, and bed. Then it was a bath, 2 books, and bed. Then it was a bath, 2 books, think-about-a-story-in-your-head, song, water, two clips in hair, and bed. Now it is a bath, 2 books, think-about-a-story-in-your-head, song, water, two clips in hair, hug from me to you, turn off and on the light to test darkness levels, turn off and on the colors of the ladybug night light to find the perfect color, and bed. Once we manage to say “Night night” and close the door, Charlotte still cries 3-4 times for us. We have to go back in there and often replay parts of the routine (maybe an extra hairclip or a different color on the ladybug). The problem is that, during all of this, I am thinking of the things I have to do! And there are many of them! After we put the kids to bed, Dan and I spend at least 2 hours getting chores done and cleaning up. So, while I would like Charlotte to be the thing that I am focused on, while I would like to just be and enjoy this time together, I can get increasingly frustrated at the long list of add-ons to the routine. I know she does it on purpose. Of course she doesn’t want to go to bed! I’m a night owl myself, so I can’t blame her. But it’s hard for me to cut the routine short because I am so very conscious of the fact that, when she’s a teenager, she’ll probably be stomping around the house in all black and ignoring us. I know I will eventually long for this endless nighttime routine. I just know it! After spending 22 days in the hospital, Emmy is home!! The best part is holding her whenever I want. When she was in the hospital, I would feel uneasy holding her. She was covered in wires, and I didn’t want something to come loose. Every time I heard a beep, I had a mini-panic attack. One day, our nurse gently handed her to me, and it literally looked as if she were putting a bunch of wires in my arms. I had to search to find Emmy! Now, I can scoop her up without worrying that I’m pulling out some type of important oxygen-thingie (to use a technical term). Emmy is a totally different kid from the day she went in for surgery. It’s really amazing how much she’s changed! First of all, she’s bigger. Her teeth are bigger, her hair is longer, and her face looks more like a toddler. Second, her muscles have gotten weak from lying in a hospital bed, so she can’t stand or walk yet. When she tries to get up, her sea legs go in all directions. We’ll meet with her physical therapist soon to get her moving again. Fourth, and most importantly, the original problem she had with her heart seems to be fixed, thanks to a wonderful surgical team at the hospital. I learned something really incredible over the past three weeks. I am so in love with this kid. I used to think it was weird when people said they were in love with their kids. It seemed like a strange turn of phrase. 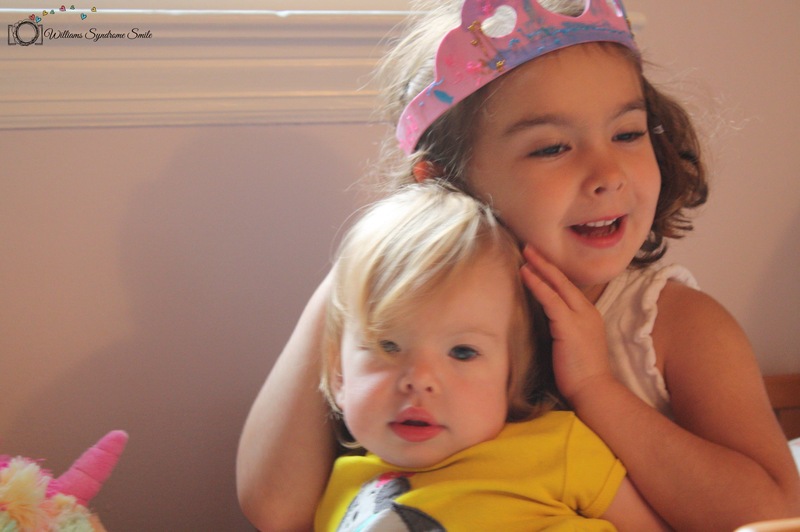 I used to think that we are in love with our spouses or partners — but we love our kids. I found out what it meant to be in love with my oldest child when Charlotte turned 1 year old. That’s when I felt it for the first time. She turned from a little baby into my little buddy. She was fun to interact with, and I saw her personality start to emerge. I remember taking pictures of her eating blueberries outside on the grass. She put a play phone up to her ear — upside down. And, as I snapped away, I thought, “Wow, this is it. I am in love.” I finally understood what that phrase meant. With Emmy, the road has been different. I was overwhelmed with a lot of information early on that scared me. 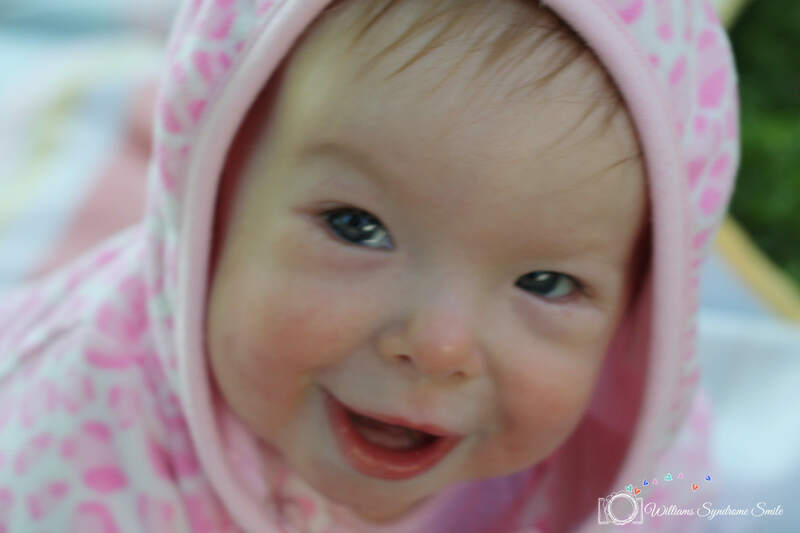 She was only 5 weeks old when I found out that she has Williams syndrome, and I was really intimidated by what that meant for her future and ours. And then there was a lot of work to do. We had to arrange doctors and call physical therapists and organize medical bills. There was a lot of stuff getting in the way of my connection with my daughter. These past three weeks have changed everything. When her heart stopped beating and the doctors were trying to save her, all of the other stuff disappeared. I was so purely connected to my daughter, and I wasn’t even in the same room as her. I couldn’t even see her. 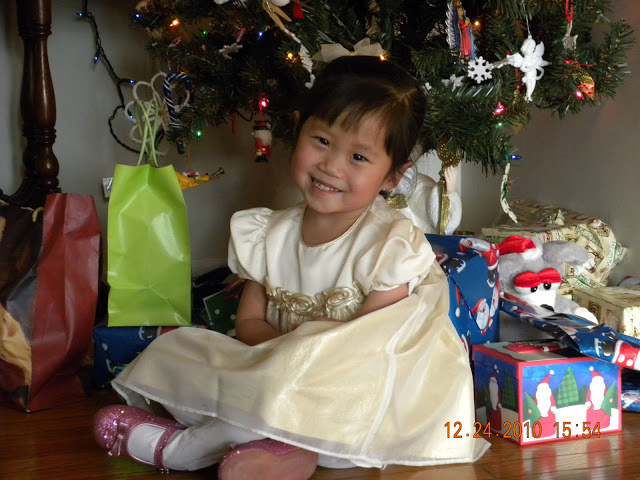 The doctors and nurses were inside her room, trying to save her life. And I was in the hallway, kneeling on the floor and sobbing. But the other thing I was doing was talking to her. I named all of her favorite toys and activities. I named family members. I named friends. I begged, “Come back. Come back to me.” There must’ve been twenty people between us and around us, but I felt as though it were only the two of us. That connection, that bond, was so strong and so pure. As special needs parents, and parents in general, we have many hurdles to overcome and struggles to deal with. Over the past two years, I felt that stuff getting in the way of a pure connection to my child. It felt like baggage, and it was heavy. Being in this position with Emmy made me realize that I need to focus on keeping a pure connection to her. Yes, she has special needs. And it is important for me to help nurture those needs. I actually love that she has Williams syndrome. The diagnosis has brought many, many wonderful qualities with it. And I love so many of the people I’ve met that Emmy has brought into my life — caring doctors, incredible nurses, excellent therapists, sweet teachers; supportive friends. I would never have met them otherwise. But, at the end of the day, when I tuck her in at night, the only thing that matters is that Emmy is my daughter and I’m her mom. And that connection is so very strong and pure. I am absolutely, head-over-heels in love with her. Emmy’s progress has been slow and steady. I had this image of the doctors removing the ventilator and Emmy jumping into my lap and saying, “Hi Mom!” It hasn’t been like that. It’s been much, much slower. But we’re moving in the right direction. 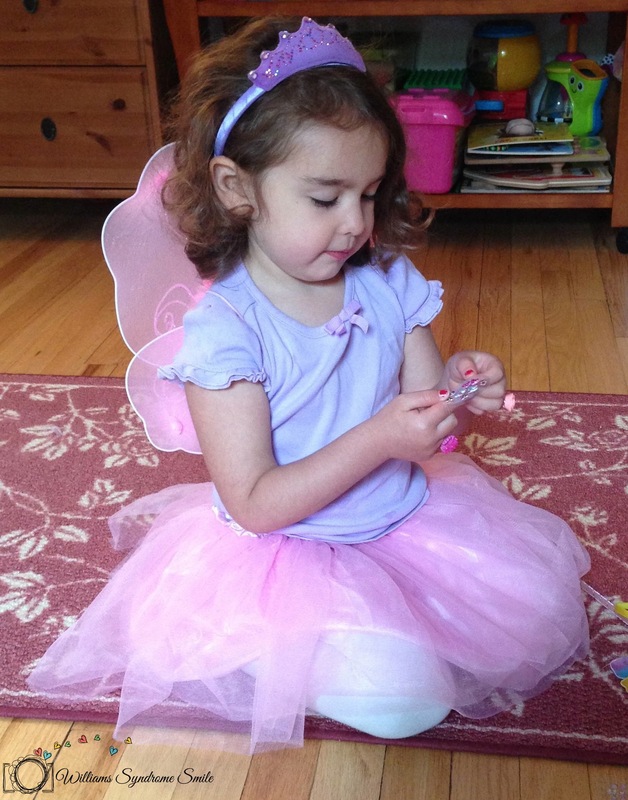 When Emmy was first diagnosed, I thought a lot about the developmental issues she would face. I thought about schoolwork and bullying and driving and independent living. I didn’t focus on the medical aspect of Williams syndrome. It seemed more distant. I could easily understand schoolwork and bullying. I couldn’t wrap my head around cardiovascular issues and hypercalcemia. What has happened over the past few weeks has made the medical issues very real in my mind. Just last night, our tight-knit Williams syndrome community lost a beautiful 3 year old boy who had heart surgery on May 23. I am heartbroken for that family. It physically hurts. People with Williams syndrome have a special smile. I see that little boy’s smile in my mind, and it will stay with me forever.